Examining the life of one of 20th-century New Zealand's leading academics, this biography of Ivan Sutherland also casts light on the development of race relations and biculturalism in New Zealand. Active in a host of progressive community initiatives--including establishing New Zealand's first children's psychological clinic, attacking the rise of the eugenics movement, and campaigning for public radio--Sutherland's commitment to social psychology drew him into the world of the Ngati Porou Maori tribe and led to his meeting prominent Maori politician Apirana Ngata, who would become a mentor and life-long friend. The book explores how this relationship shaped Sutherland's stance against what he considered the prevailing racialism among New Zealanders of European descent and his staunch commitment to a bicultural New Zealand. It also examines Sutherland's relationship with Karl Popper while the two were professors of philosophy at Canterbury University College, detailing how they worked together to bring Jewish war refugees from Hitler's Germany to New Zealand. 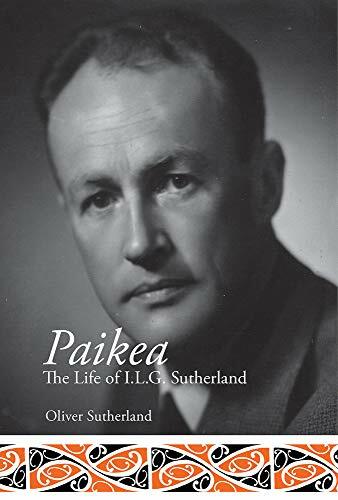 This impressive biography reveals Ivan Sutherland as a sensitive, compassionate man, an enthusiastic and far-sighted advocate for Maori self-determination, and, ultimately, an individual worthy of the honorific granted to him by the Ngati Pouro: Paikea, the name of one of their legendary ancestors. Oliver Sutherland is a retired scientist who worked with the department of scientific and industrial research in Nelson, New Zealand, and Manaaki Whenua Landcare Research for more than three decades. He was a member of the Nelson Maori Committee and established the Nelson Race Relations Action Group and the Auckland Committee on Racism and Discrimination. In the 1980s, he led an attack on mono-culturalism in the scientific sector, helping to conceive and frame the Native Flora and Fauna Claim to the Waitangi Tribunal.